Looking for a fabulous mask to wear to a Venetian or Carnival themed Prom or Dance? Check out all the beautiful styles of masks at Mardi Gras Outlet. These masks also make wonderful table decorations. Scatter pretty paper mache or feather mask along the table for added glamour. With all the styles available, you are sure to find the perfect color match for your prom dress and one for your date too! Don't forget to add the matching feather boa! Consider also the color. 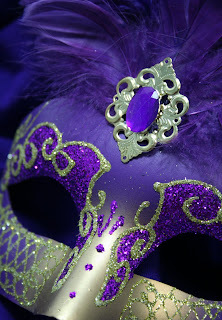 The color of your masquerade mask should match the color of your dress.